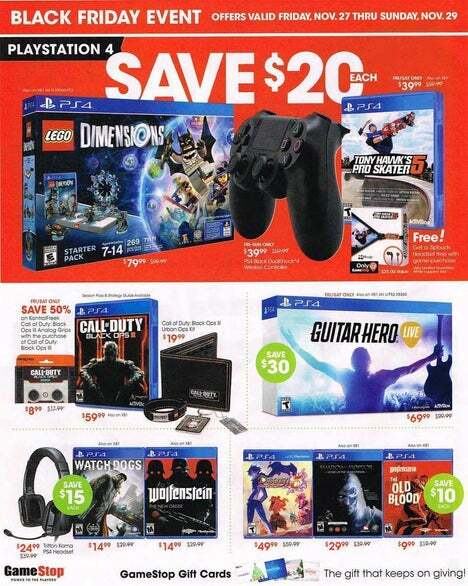 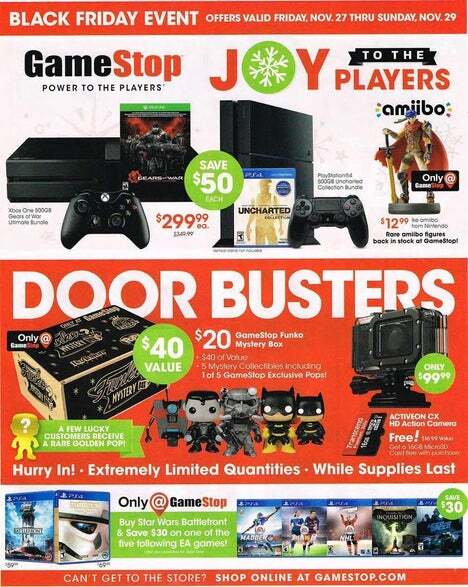 Gamestop Black Friday 2015 Ad released! 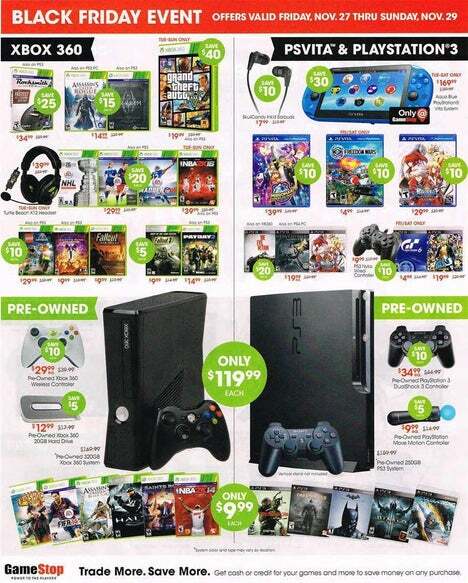 PS4, Xbox One, WiiU deals inside. 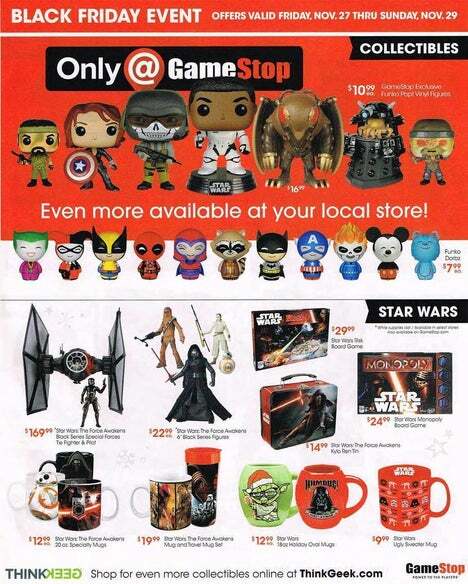 Gamestop Black Friday 2015 Ad released! 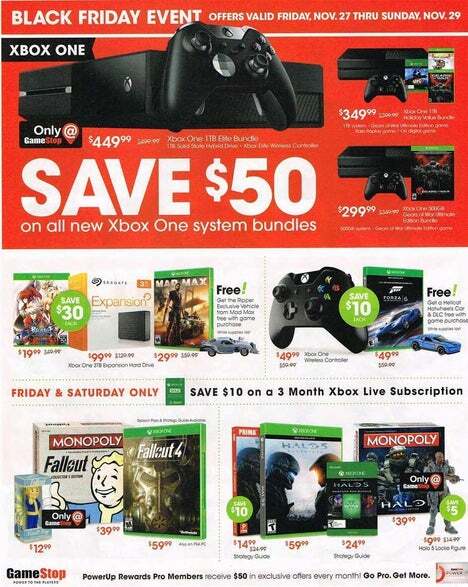 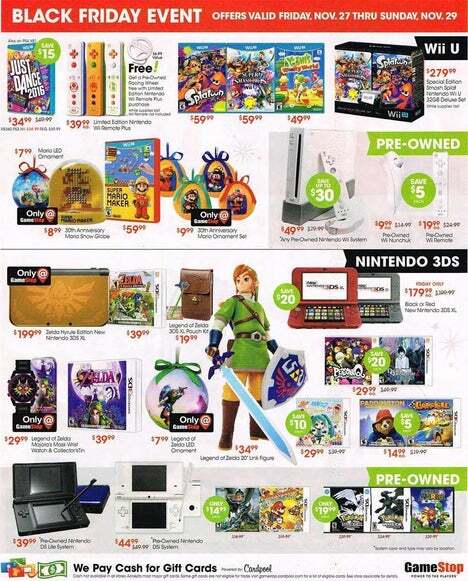 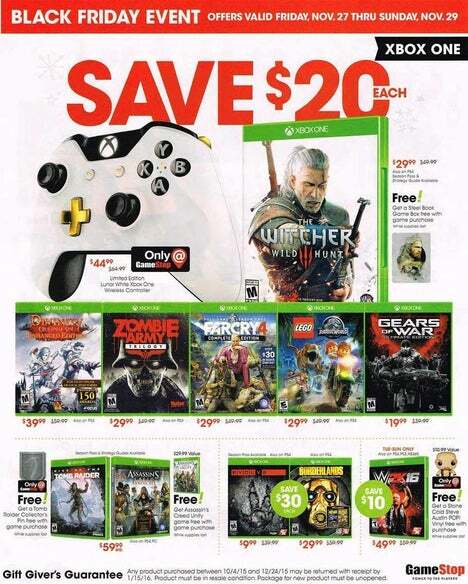 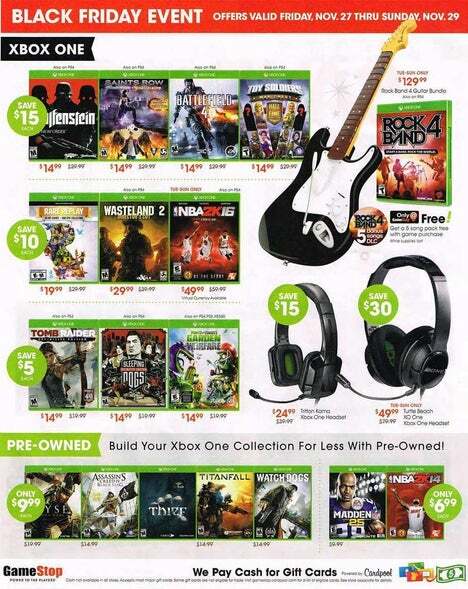 Gamestop Black Friday 2015 Ad released. 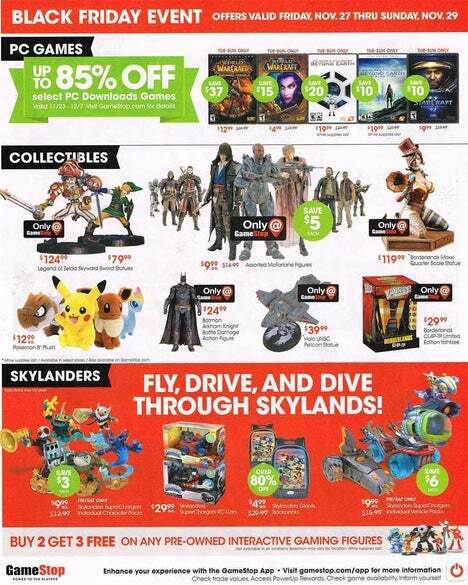 Great discounts online on Gamestop.com and doorbusters in store. 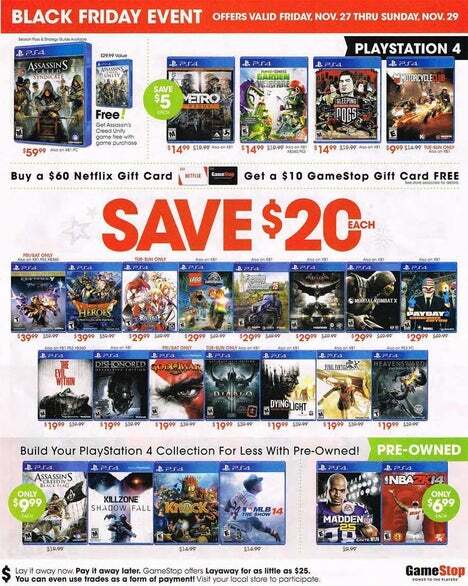 Gamestop has great discounts on Xbox One, Playstation 4, Star Wars Battlefront, Console Bundles, Pre-owners consoles and pre-owned games. 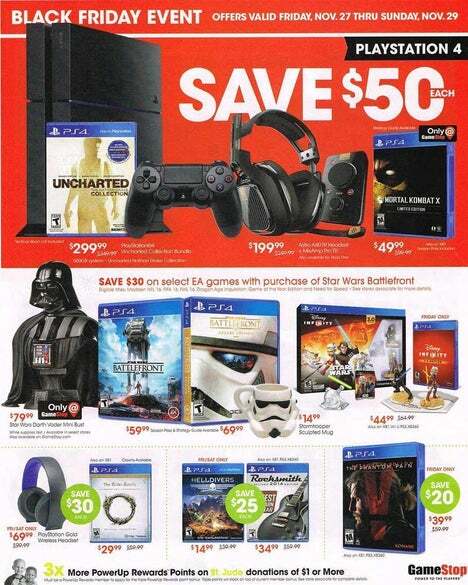 Buy Star Wars Battlefront, save $30 on either Madden 16, Fifa 16, NHL 16, Dragon Age: Inquisition, Need For Speed.